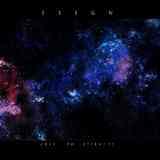 When researching information on Feign I discovered that the man behind the project (a very young man, really) is one Jacob Lizotte, who also has a self-titled metalcore band. We won’t hold that little fact against Jacob and will judge Feign only on the strength of his 3-track demo Lost to Eternity. And speaking of strength, there is considerable amount of it in this short release. When a dark wall of blasts and rolls comes down on a listener at the beginning of the title track, somehow I had an inner feeling that the oppressive portion is bound to yield to melody and atmospherics. And so the struggle between harsh and tender continues throughout with sufficient dynamics and flow. Following the fast fury the title track becomes sad and melancholic midway, even with a funeral touch. Moonlit Passageway takes a different tact. It opens at a slower doomier pace, only to run to the light later, even if the glimpse of it is ephemeral. There is even a shred of happiness here, the bells around 6’30”, which quickly become the bells of restraint, Feign unable to shed anxiety, the main feature on Lost to Eternity, entirely. Moonlight is always short-lived and unsteady. Souls Whisper interweaves melody and acoustic strums with, you guessed it, whispers, only to experience deathly riffing pickup later, manifesting that the struggle of Feign is not over. So, technically speaking, there is no new revolutionary approach that Feign brings to the table. Lost to Eternity is parts Agalloch, some cleaner early Wolves in the Throne Room, much brighter and less secluded Xasthur with a healthy helping of Opeth. Residing somewhere between Cascadian black metal and Gothenburg Feign needs its emotions to be heartfelt and real to succeed, as the project can’t win it on novelty. To convince the listener Jacob sings in some of the most deprived anxious voice he can master, and for some this will be the final touch, but it may turn off others who have come for the clean melodies. Punched with a clear and crisp production Feign is a competent debut if you like the aforementioned genres.